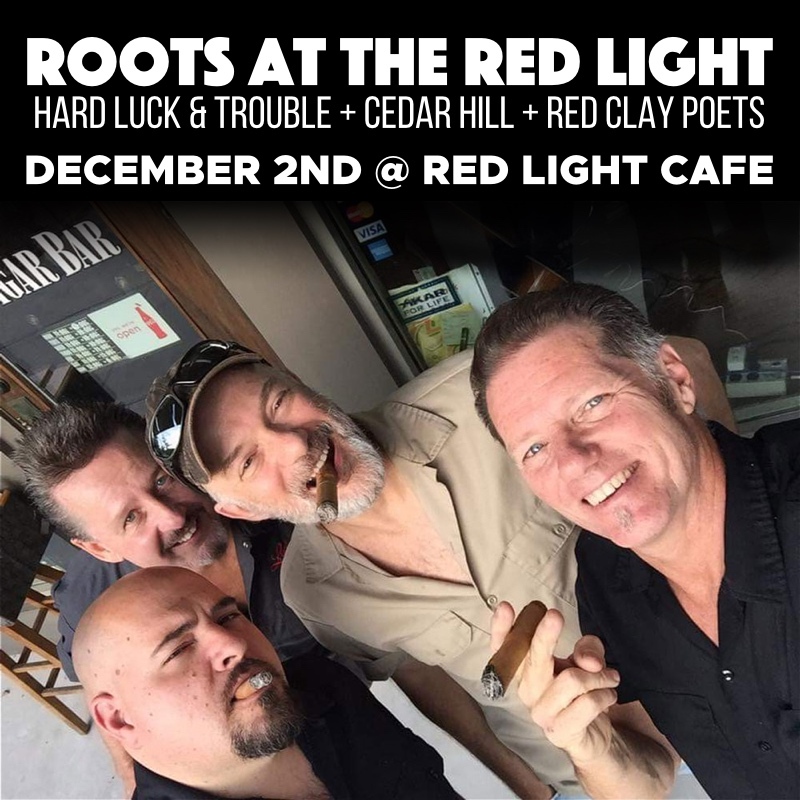 Join us for three Atlanta-based Roots music groups ranging from folk, bluegrass to hard driving Rockabilly and country music: Hard Luck & Trouble, Cedar Hill, and Red Clay Poets. Hard Luck & Trouble perform Rockabilly so good you'll wanna slap your mama! Cedar Hill has been a mainstay in the Atlanta bluegrass music scene since 1976. 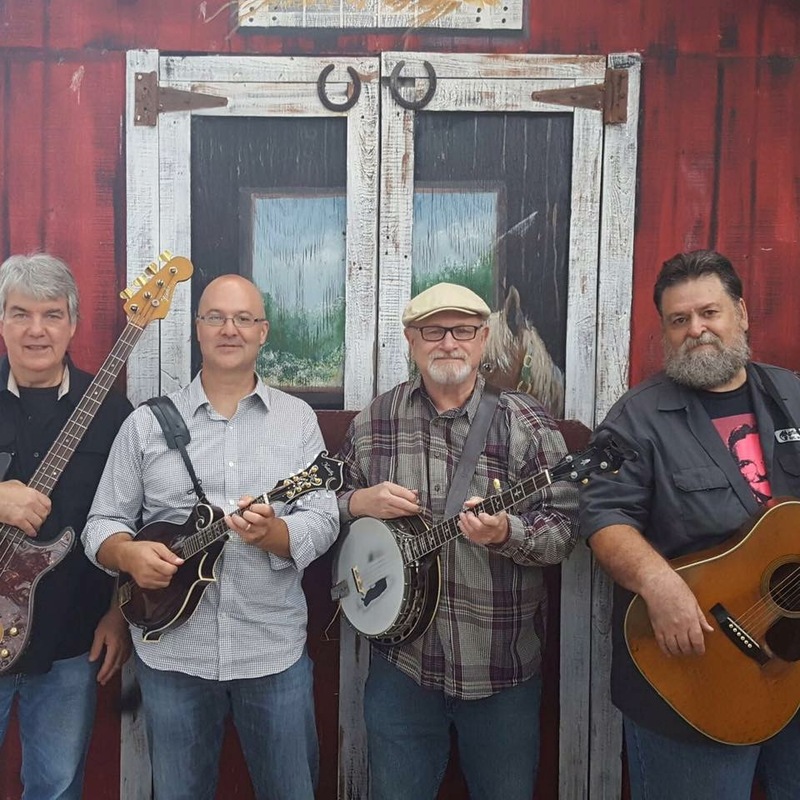 The current line up includes the 2 founding members Jim Adkins (banjo/vocal), and Bob MacIsaac (guitar/ vocal ), along with Jerry Zee (bass/ vocal) and David Ellis ( Mandolin / fiddle / vocal ). Today’s rendition of this high energy bluegrass/ Americana band,, has lots of new music while still paying homage to the songs that put them on the bluegrass music map in Atlanta and all across the southeast some 40 years ago! Red Clay Poets is a Folk duo created by Atlanta bluegrass mainstay singer /musician David Ellis and the very talented Atlanta based singer Melissa Callender. For many years the duo has performed simply as David & Melissa. Recently David & Melissa have focused efforts on their love for Roots Music. Red Clay Poets is an opportunity for them to bring Mountain, Folk & Bluegrass to the forefront of their performance. With a long list of influences including Bill Monroe, Joni Mitchell, Civil Wars, Alison Krauss, Gillian Welch , The Carter Family, Stanley Brothers, to name only a few, Red Clay Poets plans to keep you entertained with Music for the soul.